We do loan traps to County residents with proof of NC State Wildlife trapping permits. County residents can check out and return traps Monday-Friday, 12-4:30 pm. 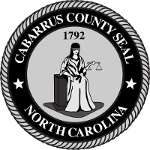 Cabarrus County Animal Control does not remove wildlife from basements, crawl spaces or traps. One of these licensed experts can assistance with removal of wildlife from your property.